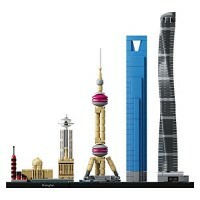 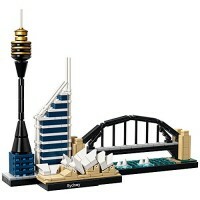 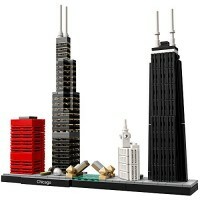 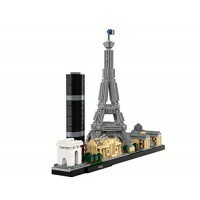 Presenting the LEGO Architecture interpretation of one of the most iconic landmarks ever constructed - The Eiffel Tower! 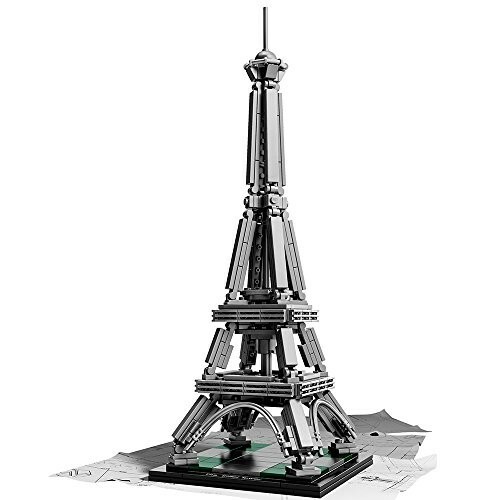 Designed and built by French entrepreneur, Gustave Eiffel, the original 324-meter-tall masterpiece of wrought iron engineering formed the grand entrance to the 1889 World's Fair, held in Paris to celebrate the 100th anniversary of the French Revolution. 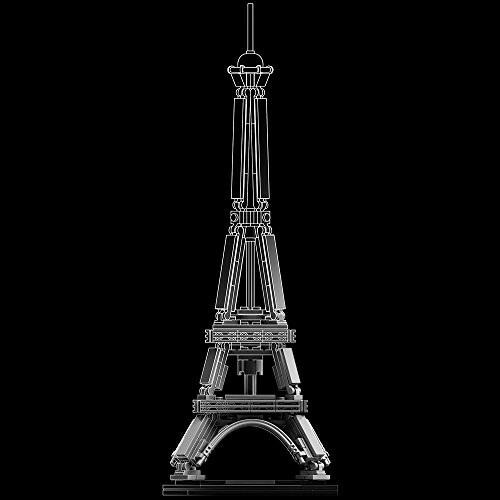 During construction, the 18,038 wrought iron elements making up the tower's lattice structure were bolted together at Eiffel's factory on the outskirts of Paris, before being transported to the site, hoisted into place by steam-powered cranes operating from the elevator shafts and assembled using no less than 2.5 million individual rivets. 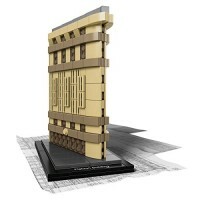 The resulting structure was extremely rigid and over the years has withstood storms, floods and everything else mother nature has thrown at it. 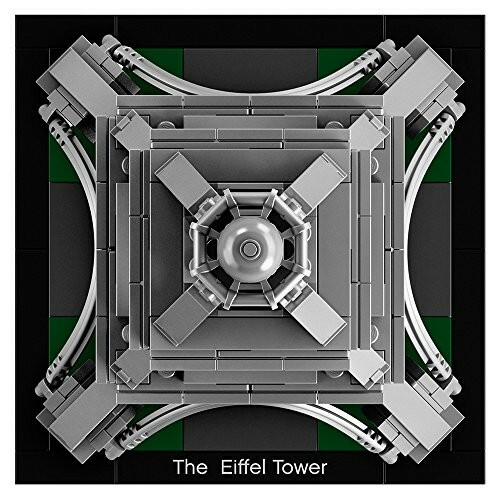 Today, The Eiffel Tower is one of the world's most popular landmarks, attracting millions of curious visitors from around the world each year. 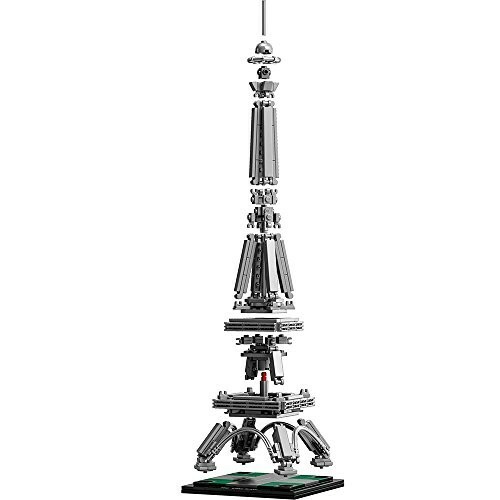 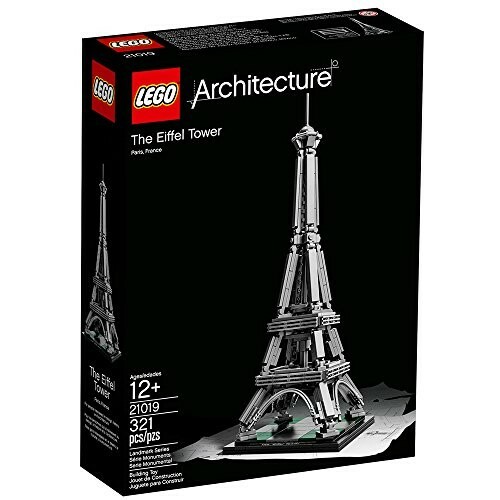 With this exceptional model, you can now build your very own 321-piece Eiffel Tower in LEGO brick form and display it in your home, office or wherever you like! 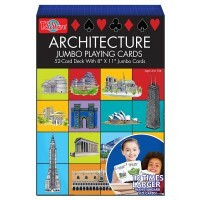 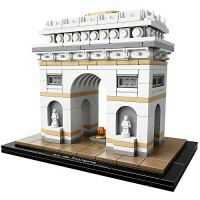 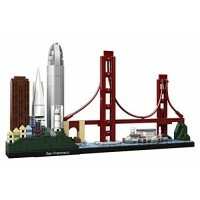 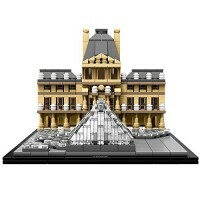 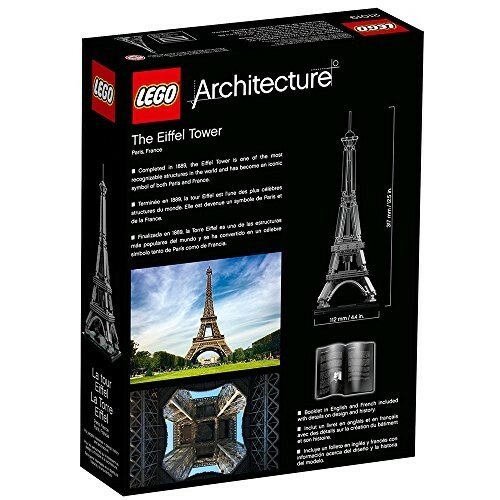 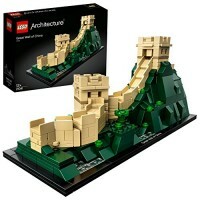 Dimensions of package 0.1031" x 0.0752" x 0.024"
Write your own review of Eiffel Tower Building Set by LEGO Architecture.